Every call is a potential customer interested in your service, never miss a call again. VnuMngr stores all incoming calls, miss calls, Voice mail sorted by date & time. Save time on getting back to callers, listen to your voicemail on your tablet or PC. Read transcripts of the voicemail & reply back with SMS message. Messages and replies will be saved in the voicemail database. All incoming phone numbers will be automatically saved and used in your SMS blast promotion ( optional ). 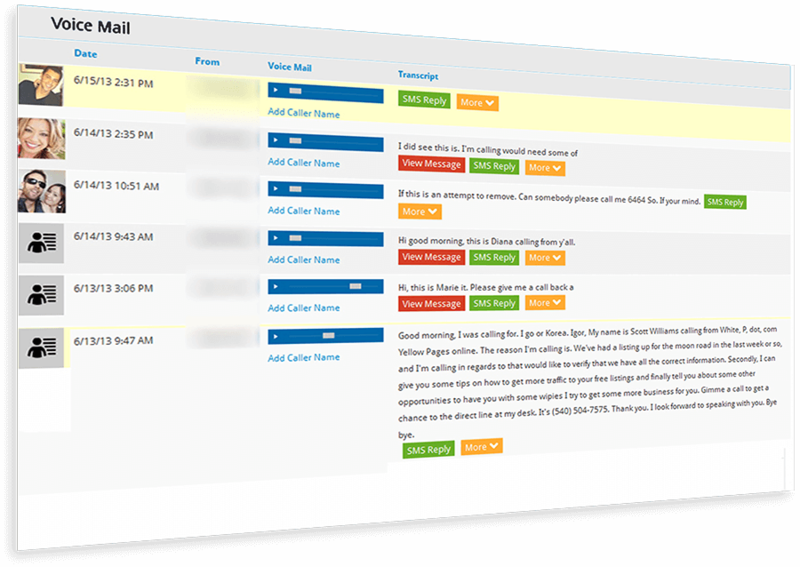 Record calls and monitor how your staff answers the business phone and respond to your valuable clients. Block unwanted, solicitation phone calls from salespeople.